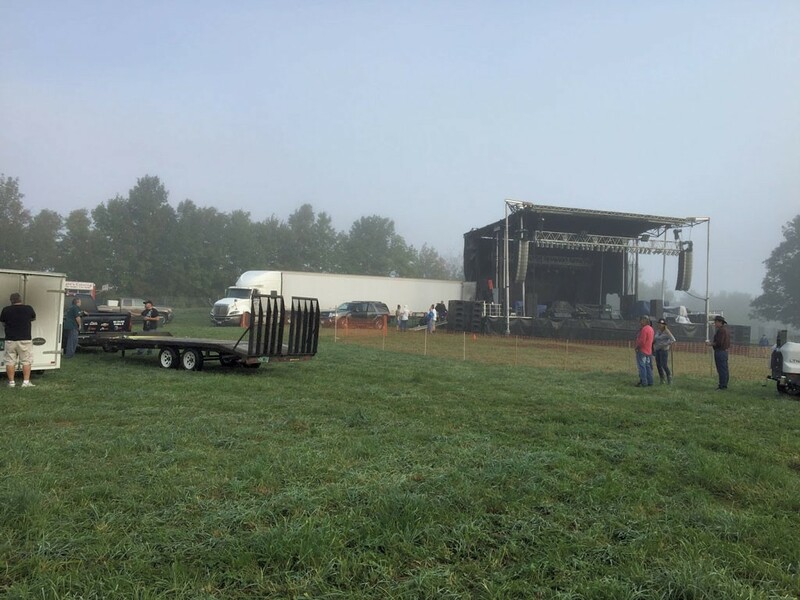 Shrinedom 2017, the hard-rock, pop-metal and country music benefit concert that was supposed to happen on Saturday, September 16, in Irasburg was abruptly canceled after it had already begun. The two-stage hubbub was supposed to include headliners Vince Neil of Mötley Crüe, Slaughter, Lita Ford, Warrant and Firehouse, with support from local and regional bands such as Vermont's Mindtrap and Raized on Radio. The concert was a coproduction of Crossova Concepts, an artist management company, and Kingdom Cares, a nonprofit corporation allegedly responsible for ticket sales and promotion. All proceeds from the show were to go to the Mount Sinai Shriners #3, the central Vermont chapter of the international fraternal organization, and its charities. On Monday, the Caledonian-Record reported that the concert was canceled due to a lack of payment to headlining acts and stage crew. According to the article, the Shriners plan to look into the mess during the week to determine fault and whether they will issue refunds. Commenters argued on Shrinedom's Facebook page about the cancellation, frequently using words such as "scam" when referring to the concert. Many directed vitriol to Crossova Concepts' co-owner Marc Clay, while others complained openly about the money they spent on tickets and how they could recoup their losses. Admission cost between $65 and $125. Ford's publicist, JoAnn Geffen, wrote in an email to Seven Days, "Lita and her band and crew were there and fully prepared to perform. There was no money to pay them, thus they did not perform. "To be honest, this was mishandled from the beginning with inconsistencies in the contract, breaches, etc.," she continued. We also reached out to Warrant's publicist, Kirsten Turner, who wrote, "Warrant traveled thousands of miles to get there. A couple hours before sound check, the rug was pulled out from under them." Currently, it's unknown who is to blame for the snafu. Seven Days reached out to Clay by phone, who claimed his company was hired by Kingdom Cares to "bring in artists, manage setup and production." "Here's my statement, plain and simple," he said. "As of [Saturday] morning, to the best of my knowledge, there [were] no issues." When asked why the headlining artists did not perform, Clay said, "I'm not the artists. I cannot speak on that." In a previous conversation with 7D, Clay referred to himself as the only person who could speak on matters related to Shrinedom. He later clarified that he was the only person available at that time and suggested that we speak with Adam Johnson of Kingdom Cares with regard to the concert's cancellation. Johnson could not be reached for comment before press time. Fortunately for the 600 to 1,000 people in attendance — the ones who stuck around after things started to implode, that is — Mindtrap and Raized on Radio saved the day. Despite the fact that the bands knew they would not be compensated, they decided to join forces to give the crowd some semblance of the show they paid for. On the smaller of the two stages — or, rather, on two small tow trailers pushed together to resemble a stage — the 802 rock bands teamed up, shared equipment and gave onlookers a nearly five-hour set, according to Raized on Radio's John Raymond. "The crowd was great," Raymond reported by phone. "[We said], 'We understand you're mad, but this is what we can do for you. We're gonna play music. There's something bigger going on, which was that [the concert] was for charity. We need to think a little bit past some of the issues that are happening right now because of poor planning and financial problems.'" Kudos to Mindtrap and Raized on Radio for sticking it out. 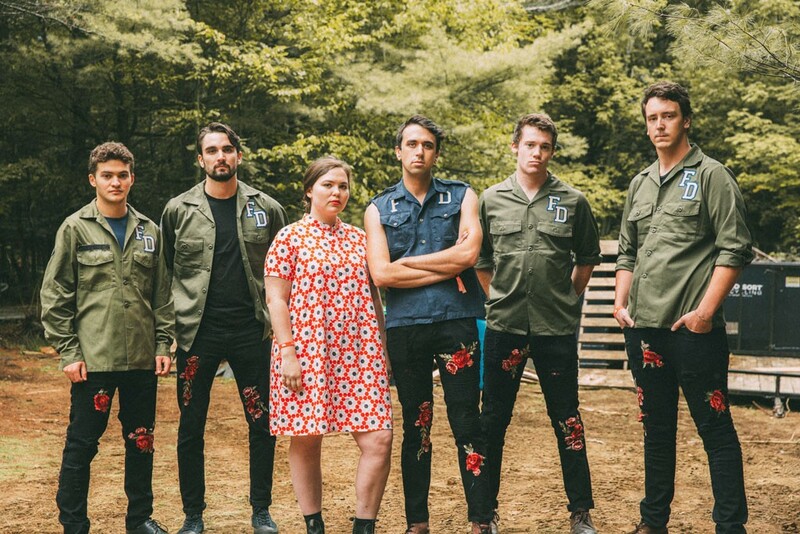 Not only was their collective tenacity the definition of rock and roll, but it's the epitome of Vermont-ness. Be kind, stick to your word, and help your friends and neighbors when you can. We'll update this story as more information becomes available. You can also read Big Whiskey Social Club member Bill Prue's account on his blog, mrprue.blogspot.com. Last week's column teased the dissolution of Burlington-based indie folk-rock band Iron Eyes Cody and its reformation as Fever Dolls. The group recently debuted new material at the Otis Mountain Get Down and officially announced the change. "Full disclosure: I am a pretty terrible interview," said the band's singer-songwriter, Evan Allis, while sitting at the edge of the Burlington waterfront during Grand Point North. Iron Eyes Cody originally formed when Allis, singer Renn Mulloy and others were students at Middlebury College. They selected the name Iron Eyes Cody somewhat haphazardly. "We needed to come up with a name before the first show we ever played," Allis explained. "[We] were in a 24-hour deadline of not being on the poster for the gig." At the time, Allis wasn't aware of the famous actor Iron Eyes Cody, known for his near-exclusive portrayal of Native American characters. A 1996 article in the Times-Picayune of New Orleans alleged that Cody was, in fact, Italian American, not Native American as he purported to be during his career. Cody, who died in 1999, had denied the claim. According to Allis, the band never explicitly came under fire for choosing the same name as an actor known for potentially building a career on playing "red face." But, as Allis and his band members grew more serious, they decided that they couldn't progress with a name that was "in no way ours to use," according to an email from Mulloy. "Gradually, we started feeling pretty uncomfortable with it," said Allis. "We went through a personal education and maturity in our own lives." Allis mentioned that he traveled to North Dakota's Standing Rock Indian Reservation during the highly publicized 2016 protest of the Dakota Access Pipeline. "I met a bunch of people whose names were Iron Eyes and discovered this whole history that I'd been completely ignorant to," he said. "I ended up being really naïve about how much tradition was embedded in the use of that [name]. It's earned, and it's an honor. For those reasons alone, I felt disappointed in our use of it. "This is a period when people are stepping back and thinking about the words we use and the consequences of that," he continued. "I'm not ashamed for us to be an example of people who fucked up and want to make it right." The band's sound is changing, as well. "When I listen to [IEC's 2016 EP Goodness All Good Saints Have Died], I hear two bands," said Allis. "Some were songs that we put together in the studio. They sort of represent this serious shift of what we'd always talked about — [songs with] more confessional lyrics that offered some kind of commentary and weren't just generic, sentimentally sexist love songs, [and] bold, different arrangements that were more ambitious than [our earlier work]." As for the new band, Mulloy wrote, "Fever Dolls feels boundless in a way that is really exciting. [We] aim to bring the ordinary to a level of fantasy and theater previously reserved for the extraordinary." Fever Dolls make their Burlington debut on Thursday, September 21, at Nectar's, and conclude their mini-residency at the club the following Thursday.